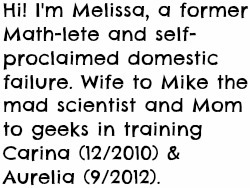 Growing Up Geeky: Send your kid to stay at other people's houses & still look like the best Mom ever! 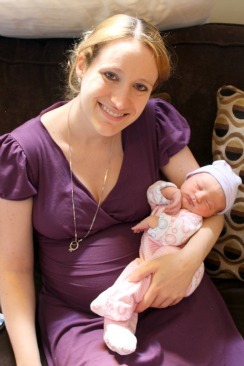 Send your kid to stay at other people's houses & still look like the best Mom ever! When I was young I had sleepovers on a regular basis. I was lucky enough to have two twin beds in my bedroom, so sleepover companions at my house enjoyed their own bed. Whenever I spent the night at a friend's, however, I dragged my nondescript giant black sleeping bag along with me. I was always jealous of my friends who had fun character sleeping bags, or ones decked out in vibrant colors or decorations. When Pottery Barn Kids told me they wanted to send their Shaggy Dog Sleeping Bag to Carina, I was so excited that she will no longer be doomed to repeat my stint as ugly-sleeping-bag-toting-slumber-party-goer. Carina has almost outgrown her Pack n Play so now whenever we visit family, she will sleep in her Shaggy Dog! In addition to serving as sleeping bag, you can see that Carina also enjoys playing with it. She has a ball putting her stuffed animals to bed in it. 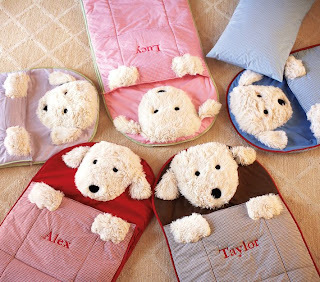 The Shaggy Dog Sleeping Bag comes in Lavender, Pink, Blue, Red, and Chocolate, and you can personalize it with your child's name for a few extra bucks. You might not be able to tell clearly from the photo, but the dog’s furry plush acrylic face is quite cushiony (is that a word?) and doubles as a pillow. The surface is pure yarn-dyed cotton percale, which wears well over time and the interior is made of pure cotton chambray. Filled with polyester batting, the sleeping bag is Machine wash (cold water; gentle cycle) and Tumble Dry (low heat). From me to you, Pottery Barn Kids, THANK YOU for making this washable. I suspect that after our first trip to visit family in just a week and a half there will be Nutella and/or boogers smeared all over it. Another feature I really like is that it secures with Velcro tabs for easy storage and toting. The sleeping bag has a zipper closure that runs down the length of one of the sides and across the bottom. It is 29" wide x 71" long which means it is actually long enough FOR ME to climb inside. And? I did. I love functional gifts that can also be used as toys, and this one's cute to boot. It gets Mama G's seal of approval. 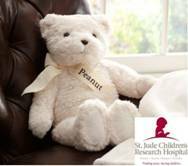 You can make this holiday season extra special for both your little ones and the children of St. Jude with Peanut, the St. Jude Give Back Bear. When you give your child the gift of this adorable bear, Pottery Barn Kids will donate 25 percent of the purchase price to St. Jude (while supplies last). Join Pottery Barn Kids in helping St. Jude find cures and save children!